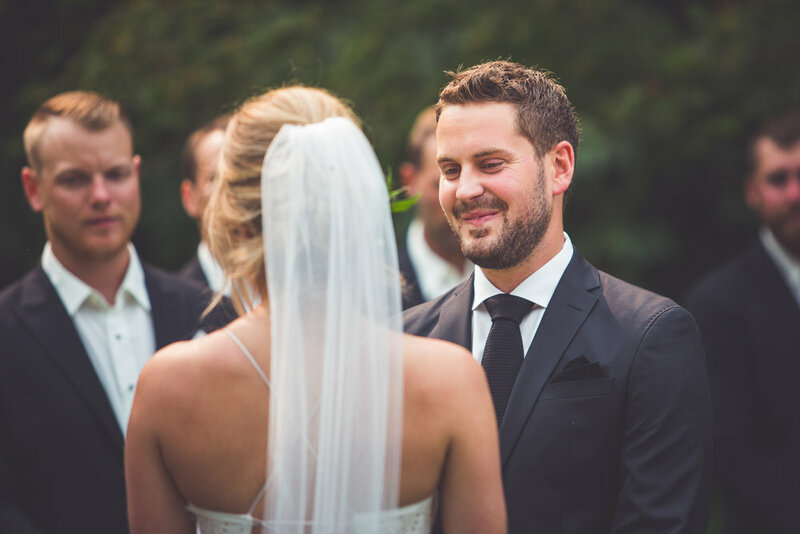 Jess + John got married at a stunning private residence that overlooks the Pacific Ocean, right in the heart of Qualicum Beach. 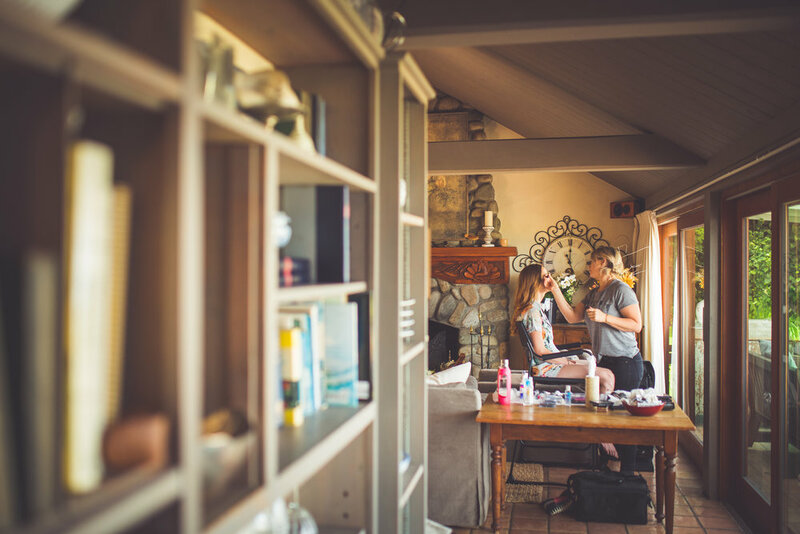 The morning started early with makeup for the bride + her giddy bridesmaids before snacks and a celebratory champagne toast on the veranda of a little cabin which sits on the property. I’ll never forget the adorable reaction of the brides father as he walked into the cabin and saw her for the first time. The tears flowed freely, as Jess giggled over him being so emotional. 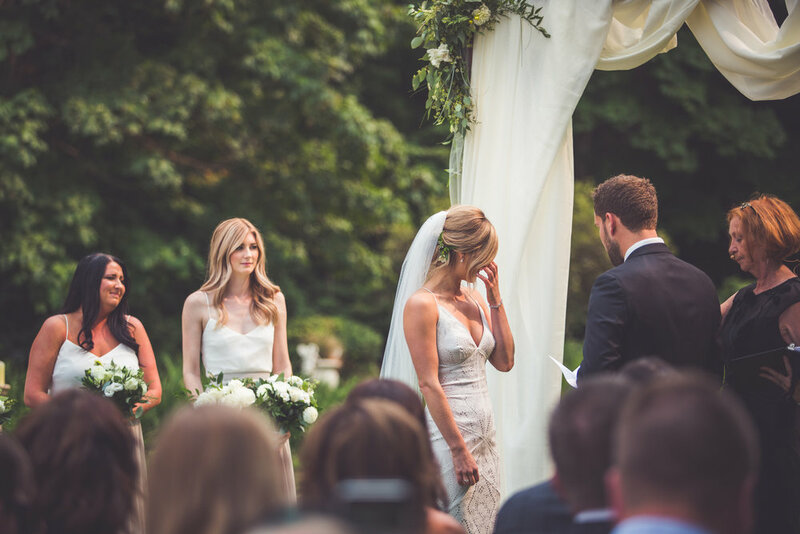 A perfect vow exchange took place, lead by the amazing Barbara Densmore, a Vancouver Island celebrant who guides wedding ceremonies with words that are heartwarming, funny, always emotional and full of personal touches about the couple before her. Guests were seated with the ocean at their backs, while a gorgeous pond covered in pink lillies set the backdrop for the ceremony. It was my favourite type of celebration to witness… so many joyful tears flowing! The property had lush forest, whimsical cedar bridges, water features, quaint cabins and of course the ocean waves rolling in. For this reason, we didn’t have to go far to capture romantic wedding day portraits. It’s always a nice treat to not lose time travelling from one photography location to the next! 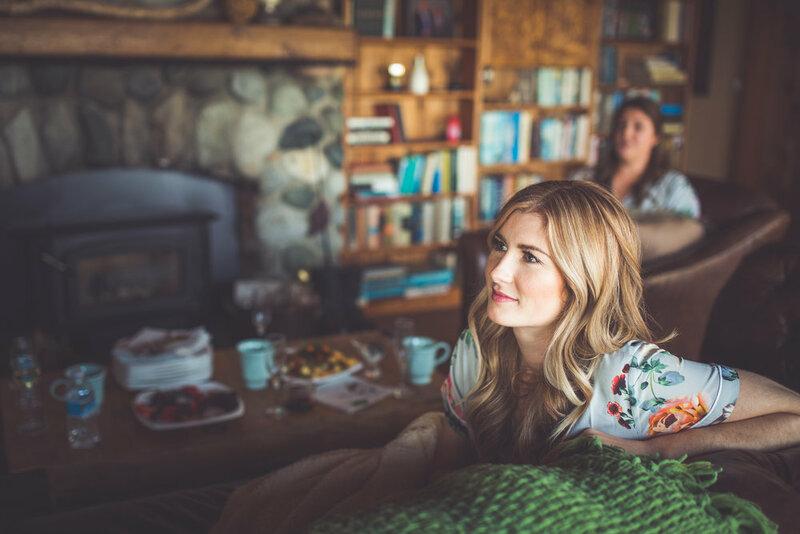 You get some quiet time while snuggled up together for portraits yet ensuring plenty of time to celebrate with the guests present! 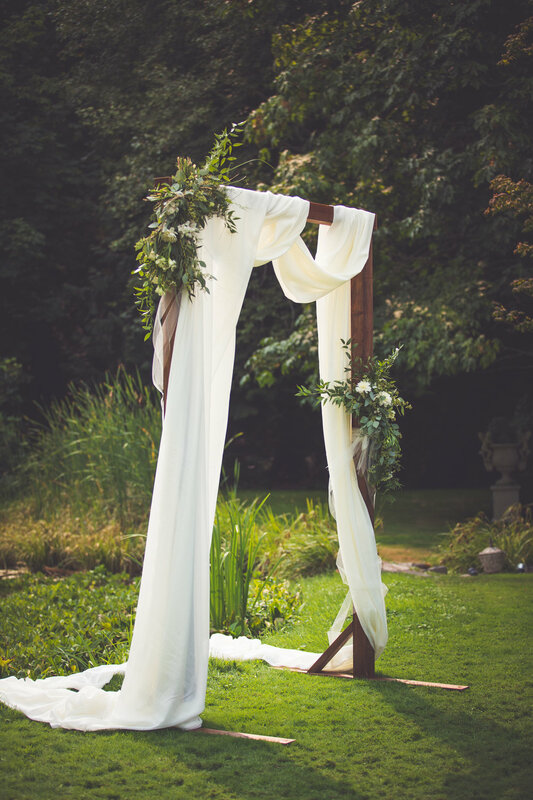 Anyways, get inspired by this gorgeous Qualicum Beach backyard wedding! 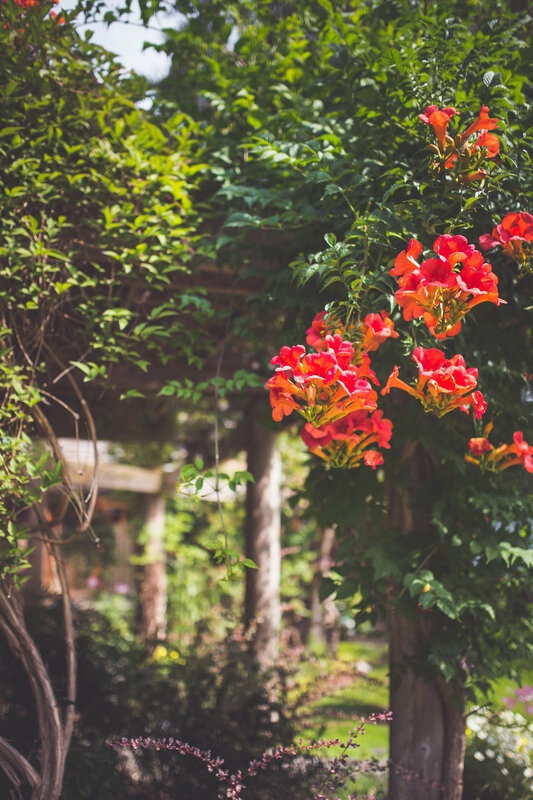 And if you’re a relaxed, nature loving couple with wild hearts planning a wedding celebration anywhere on Vancouver Island or the Gulf Islands… get in touch!! 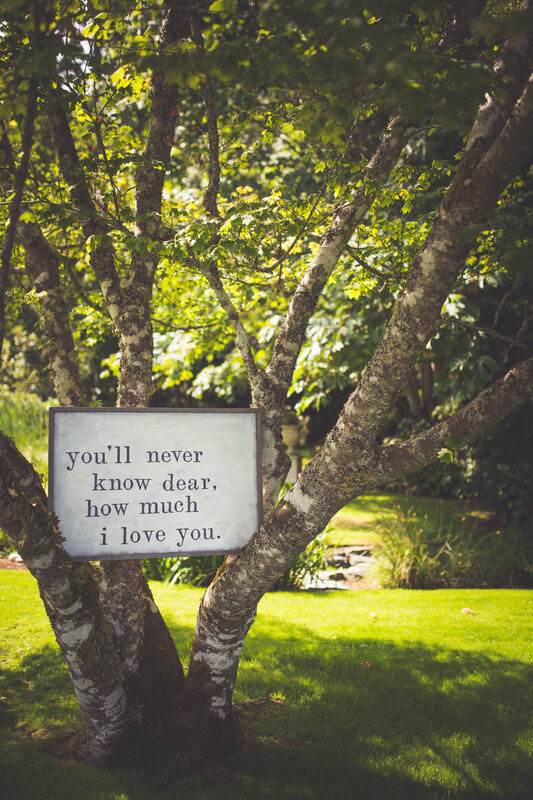 I’d love to learn about everything you’re dreaming up for your special day. I’m currently booking for 2019 + 2020.